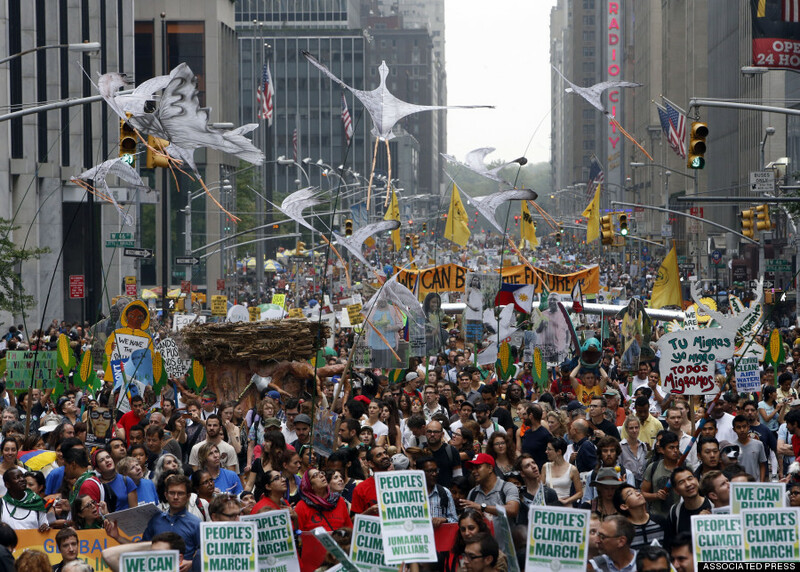 So we are nearing the end of what has been a huge month for the Climate Movement mostly because it went from a disparate number of groups to an actual global movement. Because of this I feel we should celebrate, even as we feel the dread of the very real challenges ahead. Still let’s take a moment to really enjoy and feel the goodness of what has just happened. There is a party in NY next week. Unfortunately many of us can’t attend (love a party if there’s good dancing music!) Even so we can each celebrate what is a huge accomplishment. We can give thanks to the deeper spirit of humanity that moved so many to step out for the earth, her animals, creatures, forests and plants, and for our future generations. 5. Shift from a meat based diet to plant based one. More about this later, alongside specific possibilities for “what we can to do” together and how we can practice reclamation of the sacred. 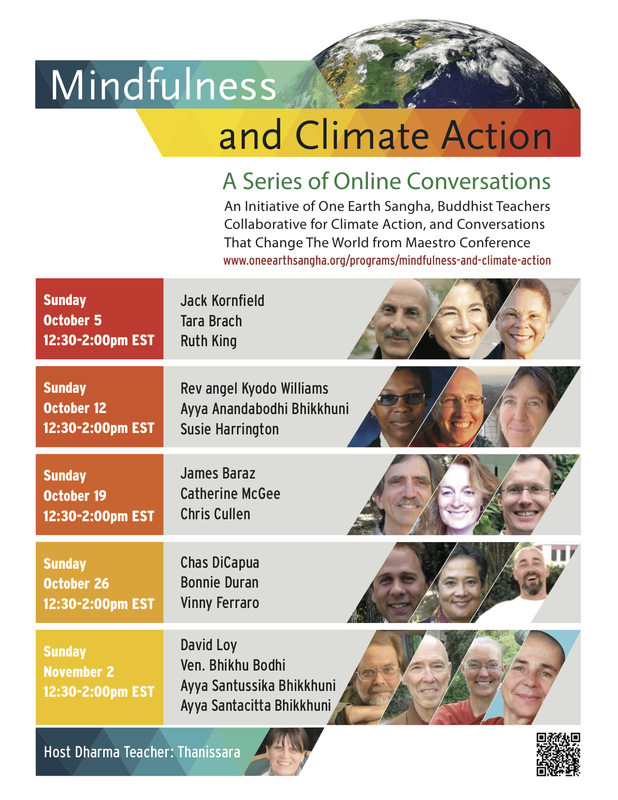 Meanwhile, I invite you to join me and our great One Earth Sangha team (check out co-founder of 1ES Lou Leonard’s blog piece The March to March) and sixteen leading Dharma teachers during the month of October. Each Sunday, for an hour and a half, we have teachers input, conversation in break out groups, questions and dialog focused on the layered dimensions of life impacted by climate change. We are already well over 1000 people signed up. To sign up and register for free, please click here onto One Earth Sangha. “See” you there!